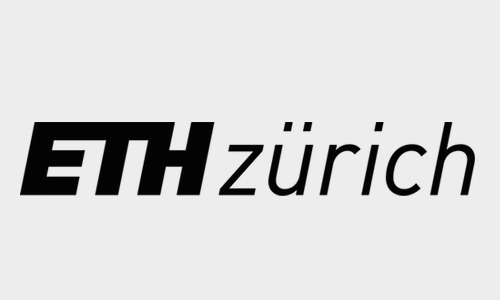 International students are invited for a PhD scholarship in earth sciences at ETH Zurich. Applications should be sumbmitted as soon as possible. Over a mere few centuries, human activities may bring atmospheric CO2 levels through the entire range of concentrations experienced by the earth during the last 60 million years of the Cenozoic Period. In this project, we evaluate changes in the carbon cycle and temperature during the Oligocene and Early Miocene, a period which shows evidence for dramatic orbitally paced growth and decay of the full East Antarctic Ice Sheet. Our goal in this project is to constrain the high latitude ocean temperatures which conditioned this very dramatic instability of the Antarctic ice sheet, estimate the CO2 concentrations at which the Antarctic ice sheet was so dynamic, and evaluate whether changes in atmospheric CO2 concentration were a key amplifier of orbital scale climate variations, as during the late Pleistocene ice ages. The successful PhD candidates will use a combination of organic geochemistry proxies such as carbon isotopic fractionation in phytoplankton-specific compounds, organic and inorganic geochemical proxies, and microfossil proxies to produce new data on past temperature, CO2 and the carbon cycle. The candidates will coordinate closely with other team members whose studies on algal physiology help refine pCO2 and temperature indicators. Applicants should hold a Master’s degree or equivalent by 15 January 2019, with strong background in earth science and an interest in paleoclimate. An advanced knowledge of geochemistry, including laboratory experience, is essential, together with a strong motivation to learn and develop new techniques. Experience in oceanography or paleoceanography, micropaleontology, or climate/paleoclimate would be advantageous. Solid quantitative skills and data management and organization are expected, along with written and spoken fluency in English. Candidates should be passionate about science and motivated to produce innovative, top-quality research. Candidates should be self-motivated and able to work independently. Candidates should also contribute to synergy in the research team intellectually and in shared responsibility for lab infrastructure and instrumentation. All PhD candidates at ETH Zurich contribute a small fraction of their time to undergraduate teaching. Our group is committed to high quality teaching and to mentoring the next generation of educators in implementing effective teaching practices. The successful candidates will work principally in the analytical facilities of the Climate Geology group, with access to instrumentation in other research groups in the department and ETH such as the microscopy center Scope M. Candidates should be open to travel to other research labs for short stays to gain complementary expertise.